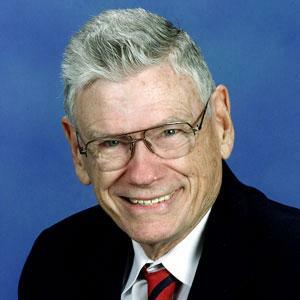 William E. Glenn Jr., Ph.D., a distinguished professor emeritus of electrical engineering at Florida Atlantic University and one of the world’s foremost high resolution imaging researchers, died on July 13 in Fort Lauderdale of heart failure. He was 87. Glenn had a lifetime of innovations, achievements and contributions in the fields of high resolution imaging technology, electronic and optical physics and electrical engineering. He was the head of FAU’s Imaging Technology Center and NASA Imaging Technology Commercial Space Center (formerly Space Communications Technology Center). He has been awarded more than 137 U.S. patents and has published more than105 technical articles. He holds an honored position among about 50 prolific, commercially viable U.S. inventors whose number of patents are exceeded only by those issued to Thomas Edison. In 2004, Glenn developed high-definition digital imaging technology that was licensed to Panavision, the world’s leader in the leasing of motion picture and television camera systems. Panavision utilized this technology to develop business strategies for markets such as military, aerospace, surveillance and consumer applications. In 2003, Glenn, sponsored by NASA, the Office of Naval Research and Panavision, developed the High Definition Maximum Value (HDMAX) complementary metal-oxide Semiconductor (CMOS) camera, which exceeded the resolution and performance capabilities of all existing high definition television cameras at that time. Versions of the HDMAX CMOS camera were being developed for the U.S. military for use in coastline security and surveillance and by NASA for space-flight scientific observation, inspection and medical informatics. The camera technology was adapted by scientists affiliated with FAU's Center of Excellence in Biomedical and Marine Biotechnology for use in underwater scientific exploration. Glenn was born on May 12, 1926 in Atlanta, Ga. After World War II, he served five years as a commissioned officer with the rank of ensign in the United States Navy. He received his Bachelor of Electrical Engineering degree from the Georgia Institute of Technology in 1946, and his M.S. and Ph.D. (1952) degrees in the same field from the University of California at Berkeley. In 1952, Glenn began his career at General Electric Research Laboratories in Schenectady, N.Y., where he developed two totally new types of electro-optical imaging systems: the “Talaria” light-valve projector and a thermoplastic recording-display system. He left GE in 1967 to become the vice president and director of research at CBS Laboratories, Inc., in Stamford Conn., where he worked on systems using holographic techniques, including early forms of ultrasound imaging systems. While there, he sparked pioneering developments in laser optical imaging systems employing orbital satellites for instant worldwide communications. One member of his research staff was Nobel Prize winner Dennis Gabor, the inventor of holography. In 1975, Glenn became the director of the Science and Technology Research Center at the New York Institute of Technology in Dania. In 1989, he joined the faculty at FAU as a distinguished professor, the Motorola endowed professor for electrical and computer engineering and the director of the Imaging Technology Center, including the NASA Imaging Technology Space Center (Research Partnership Center). Glenn’s patents covered his work in the areas of video compression technology that incorporated research in visual psychophysics; high-definition television camera and systems design; optical systems, deformable fluid materials, and design of electro-optics and electrical circuitry; optical configuration and screen design for lenticular, block stripe, back-projection screens; the first electron beam recording of television on a special film that could be viewed immediately (without developing), erased and used again; the electron optics, the recording medium, the electronic circuitry and the mechanical film transport; high speed, side-looking radar recording; medical ultrasound that was a real-time high-resolution imager with Doppler blood flow measurement, which at the time was the world’s highest resolution, noninvasive ultrasound imaging system for visualizing arteriosclerotic plaques in the carotid arteries as a means of diagnosing and preventing stroke. Glenn’s major awards and memberships included a Society of Motion Picture and Television Engineers (SMPTE) Fellowship; membership in Imaging Science and Technology (IS&T); the SPSE Kosar Memorial Award for Unconventional Photography in 1974; a television Emmy Award for achievement in television technology in 1978; the SMPTE David Sarnoff Gold Medal in recognition of his development of the basic concept of sub-band coding in 1989; the SMPTE Agfa Gaevert Gold Medal Award in 1991; a Society for Information Display (SID) Fellowship in 1993; the Karl Ferdinand Braun Prize from the SID in 1993; the American Electronics Association 50th Anniversary Recognition Award in 1993; the Society for Information Display Fellow Award in 1998; the Allen B. DuMont Citation in 2003; and the FAU Sponsored Programs Research/Scholar of the Year award in 2004-2005. Glenn was an advisor for the National Science Foundation (NSF) Science and technology center for advanced liquid crystal optical materials and a member of the Association for Research in Vision and Ophthalmology. He also worked on the Federal Communications Commission advisory committee on terrestrial broadcast standards. Glenn is survived by his wife, Jeanne Glenn, of Lighthouse Point, and his two sons: Doug Glenn of Middletown, N.Y., and Ross Glenn of Lacey Springs, Ala.; three grandchildren: Vaughn, Bonnie and John; and two great-grandchildren. A memorial service for Glenn will take place on Wednesday, July 24, at 11 a.m., at the First Presbyterian Church, 2331 NE 26th Ave., in Pompano Beach.